The academic performance at Haddon Heights Jr./Sr. High School “lags in comparison” to similar schools across the state, although the performance rises to “about average” in comparison to all schools in New Jersey, according to N.J. School Performance Report issued recently. The school also scored “about average” in college and career readiness — while meeting only 20 percent of state-set goals in the category — and is considered to be “significantly lagging” in the graduation and post-secondary category. In 2011-2012, 91 percent of Haddon Heights High School students scored proficient or better in the N.J. High School Proficiency Assessment exam for language arts, which met targets set by the state. The percentage puts the school in the 13th percentile when compared with schools in its peer group — meaning the school roughly outperformed 13 percent of those schools, while about 87 percent outperformed Haddon Heights. Peer schools are defined as schools that have similar grade levels and students with similar demographic characteristics. Heights placed in the 29th percentile when compared with all schools statewide in language arts. In 2011-2012, 88 percent of Haddon Heights High School students scored proficient or better in the NJ HSPA math test, which again met targets set by the state. Heights placed in the 55th percentile among schools in its peer group and 55th percentile among all schools statewide. Overall, Heights outperformed about 34 percent of schools in its peer group and 42 percent of schools statewide, the report states. “Average performance” is defined as being between the 40th and 59.9th percentiles in that measurement, while “lagging performance” is between 20th and 29.9th percentiles. Haddon Heights Jr./Sr. High School failed to meet targets in four out of five portions of the college and career readiness category, according to the state report. Fewer than three-quarters of students in 12th grade took part in the SAT exam, falling below the state-mandated target of 80 percent. Fewer than half of 10th and 11th grade students took part in the PSAT, falling below the target of 60 percent. Fewer than one-third of student scored above 1550 out of 2400 on the SAT, falling below the target of half the students reaching the score. The average SAT score in the school was 1,467; the average among peer schools was 1,526. Only 16 percent of 11th and 12th graders took an Advanced Placement test, falling below the state target of 35 percent. Of the students who did take an AP test, however, more than three-quarters scored three or better, which did put the school above the state target in that category. As a whole, the schools performance in these category ranked in the 41st percentile among peer schools and 49th percentile among all schools in New Jersey, placing it in the “average” category. The graduation and dropout rates at Haddon Heights Jr./Sr. High School position the school as “significantly lagging” in comparison to peer schools. According to the report, 87.9 percent of students graduated the school in 2012 after four years, putting the school in the 10th percentile among peer schools — meaning about 90 percent of those schools outperformed Haddon Heights. The school is in the 33rd percentile when compared to all schools in New Jersey. The school’s 2 percent dropout rate places it placed it in the 23rd percentile among peer schools and 29th percentile among all schools. The report also offered that 73 percent of students who graduated from Haddon Heights Jr./Sr. High School were enrolled in post-secondary education 16 months after graduation. It would be nice if they could fine that report to break it down by sending districts, so we it could be monitored over the 4 years. If the students on a whole did worse, then it would could be looked at from the HS’s teaching / reinforcment methods. If however, individual districts’ students continued to do above the school average, then it should be looked at in the sense what are those districts doing that could be better preparing their students foundations for high school, that other districts might be able to emulate. this is disappointing, especially knowing that Barrington residents pay a high dollar armount to send their children to Haddon Heights. What is the high school doing to improve these marks? 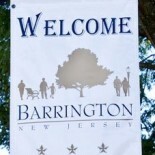 This entry was posted on May 1, 2013 by Barrington Bulletin in Region, Schools and tagged report card.